Begin your wild adventure at the Zoo in Mutual of Omaha’s Wild Kingdom Pavilion. The Exploration Station includes hands-on activities along with previews of the other major attraction such as the Scott Aquarium, Lied Jungle and Desert Dome. 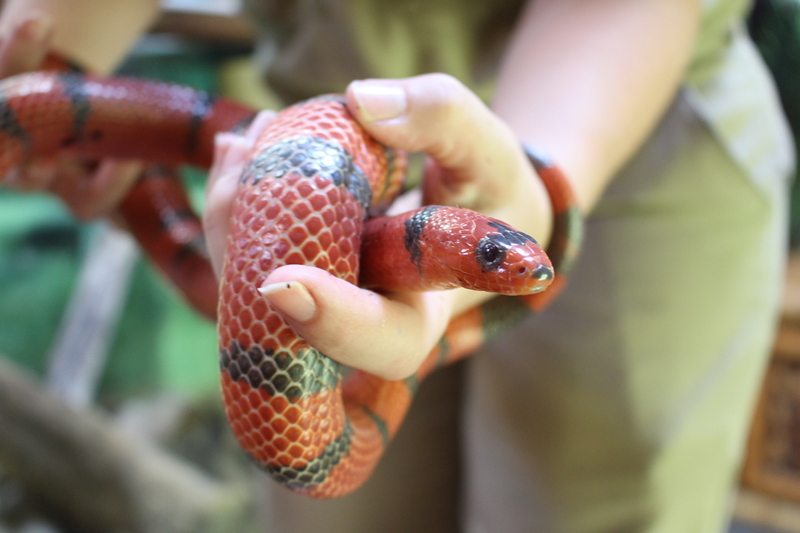 There are a number of animal exhibits from small mammals to tarantulas and snakes. Garden of the Senses is a sensory garden for everyone! Let your senses go wild as you walk through the beautiful garden filled with over 250 different species of herbs, perennials and trees, along with blankets of roses and flowers. Sit back and hear the chirping of birds, listen to the fountains, splash in the water or take advantage of the great photo opportunities next to unique bronze sculptures. See more than 500 birds in the world's second largest free-flight aviary. This four-acre sanctuary features a variety of birds including flamingos, ducks, swans, storks and cranes without a net or glass obstruction. Plus, you have the chance to catch a glimpse of the tufted deer in this beautiful and peaceful exhibit. Lagoon Islands located in the original Deer Park lagoon that was used as an ice skating rink and fishing pond at Riverview Park. These islands provide the summer home for some of Omaha’s Henry Doorly Zoo and Aquarium's swinging primates. Living among the branches of a man-made Banyan tree are multiple species of monkeys. The lagoon is home to hundreds of koi (Japanese carp). Visitors can purchase food to feed the koi from a covered bridge overlooking the man-made banyan tree.